After Republican politicians like Donald Trump and Scott Walker endorsed the idea of ending birthright citizenship, politicians and pundits on the right have debated whether that would require a constitutional amendment (as Carly Fiorina argues) or whether it would require passing a simple law (as Ann Coulter argues). The proponents of a constitutional amendment argue that the 14th Amendment clearly requires granting citizenship to all children born in the U.S., while opponents say that it has been misinterpreted. But according to The Huffington Post, it turns out that trying to amend the Constitution to end birthright citizenship is itself unconstitutional, and we’re just kind of stuck with it forever. Yes, you read that correctly. You can’t amend the 14th Amendment because it’s against the 14th Amendment. I’ll be blunt: this argument is asinine. The whole point of amending the Constitution is to change what is and isn’t constitutional. Saying that the very process itself could ever be unconstitutional is a non sequitur. It’s akin to saying one can’t pass laws that contradict other laws. What Farias is advocating for– knowingly or unknowingly– is tyranny, plain and simple. It is the notion that the American people for all days are bound by certain laws that they are completely incapable of changing, period. 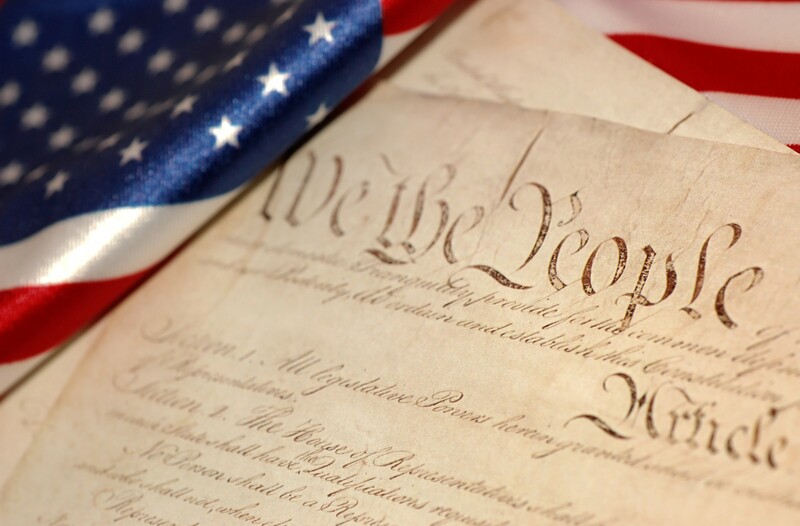 That’s all nice and fine when it comes to the parts of the Constitution everyone likes, but taken to its logical conclusion, it would have wreaked havoc on the social progress of the United States. Under Farias’ reasoning, the 21st Amendment repealing Prohibition would have been unconstitutional because it contradicted the 18th Amendment imposing it. The 19th Amendment would have been unconstitutional because it contradicted the plain text of the Constitution saying only men could vote. And the 13th Amendment is out too: just look at all those statements affirming slavery in the original draft of the Constitution. For what it’s worth, I actually think it’s a horrible idea to amend the Constitution to end birthright citizenship. But I would never presume to tell my opponents that they must be slaves to my preferred policy for all eternity. It saddens me that a document originally set forth to give people the chance to dictate their own laws is now being invoked to rob the American people of their God-given right to self-determination.